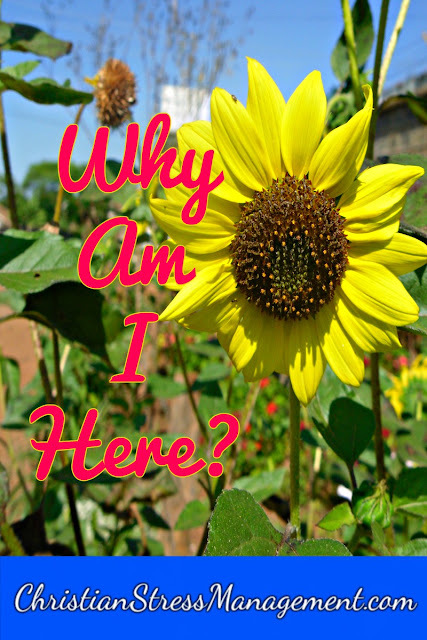 Christian Stress Management: Why Am I Here? 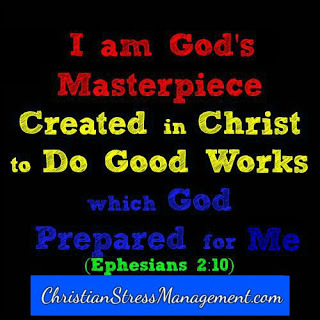 You are here to do the good works that God prepared for you before He even created you. God has given you a special gift(s) and He expects you to use it well. The gift that you have received belongs to God and He has just given it to you to take care of it while you are here on earth. Therefore take good care of it by using it well and do not bury it because of fear. Keep in mind that your Life's Purpose often involves using the gifts that God has given you to serve a need in another person's life. So look for a way to bring glory to God by using your gifts to serve another person. For example, if God had given you a gift of drawing, you can use it to glorify God by creating artwork for your Church and you can also use it to earn a living by being a professional artist. "What has God given me?" Your 3 main points are SO important for us to remember and practice. Thank you for sharing this post. So true...we each have gifts...some the same, some different. Enjoyed reading your post and your scripture. Thank you. Yes, we all have gifts and their purpose is to serve the Lord. Thank you for your encouragement and comment. Thank you for your encouragement and comment.